The LIFE-IP 4 NATURA project, the first Life Integrated Project (LIFE IP) ever approved for Greece, is the most important nature conservation project of the last decades for the country. It constitutes the first centrally coordinated initiative to implement the Greek PAF on a national regional and local scale. The project’s objective is to substantially enhance Greece’s nature conservation framework in a way that simultaneously ensures the country’s compliance with the European Union’s nature legislation. That is why the project’s framework cohesively integrates actions covering all aspects of nature protection: policy, economy, society and science. Ten partners, coordinated by the Ministry of Environment and Energy, participate in the largest nature conservation project ever to be undertaken by the country and unite their forces to “shield” Greek nature, by creating new protection and management tools and promoting the opportunities arising from the harmonious coexistence between man and nature. Launch of a nationwide communication and dissemination campaign. Pilot implementation and introduction of MAES in decision-making in selected Natura 2000 sites of the 4 Regions. Greece is fortunate to stand out for the richness of its biodiversity and, therefore, has the privilege and the responsibility to preserve its natural heritage. 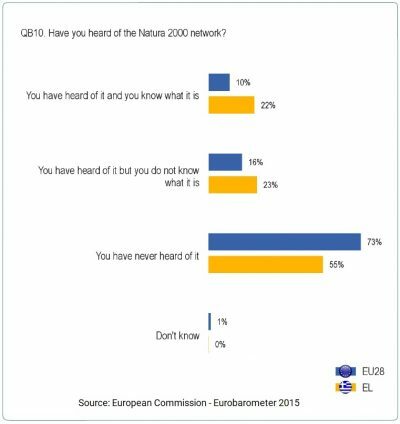 8 out of 10 Greeks (78%) have never heard of the Natura 2000 network or -even if they have- don’t know what it is. LIFE-IP 4 NATURA is part of a new nature conservation framework in Greece. 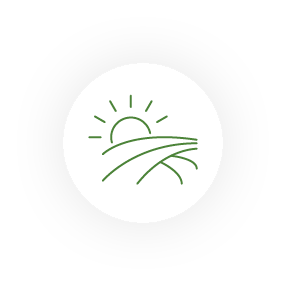 The country recently expanded its Natura 2000 network by expanding existing sites and adding new ones. Currently the Natura 2000 network in Greece covers approximately 28% of the country’s land and about 20% of its marine territory. Moreover, the foundations for a new National Protected Areas System have been laid, in which Management Bodies will play a key role. LIFE-IP 4 NATURA will support and complement this new framework, by filling gaps that have so far undermined the function of the Natura 2000 network in Greece. Implementation of the project will be a catalyst for the effective protection of Natura 2000 sites and biodiversity, thus enhancing their development prospects. 5. Antigoni Gkoufa, Στέλεχος της Διεύθυνσης Περιβάλλοντος, Περιφέρεια Αττικής. 10. Panagiotis Kordopatis, Forester, Hellenic Ornithological Society. 4. Kallimanis Athanasios, Associate Professor, Department of Biology, Aristotle University of Thessaloniki. 5. Vasilakis Emmanouel, Assistant Professor, Faculty of Geology & Geo-environment, National and Kapodistrian University of Athens. 6. Thanos Konstantinos, Professor, Department of Biology, National and Kapodistrian University of Athens. 7. Bakaloudis Dimitrios, Associate Professor, Faculty of Forestry and Natural Environment, Aristotle University of Thessaloniki. 8. Kazantzidis Savas, Senior Researcher, Forest Research Institute Hellenic Agricultural Organization:DEMETER”. 9. Karavas Nikolaos, Dr. Environmentalist, Ministry of Rural Development and Food. 10. Lymperakis Petros, Dr. Biologist, Natural History Museum of Crete. 11. Kontogianni Areti, Associate Professor, Department of Mechanical Engineering, University of Western Macedonia. 12. Vokou Despoina, Professor, Department of Biology, Aristotle University of Thessaloniki.